And this third one is for my dear friend Åsa's birthday. 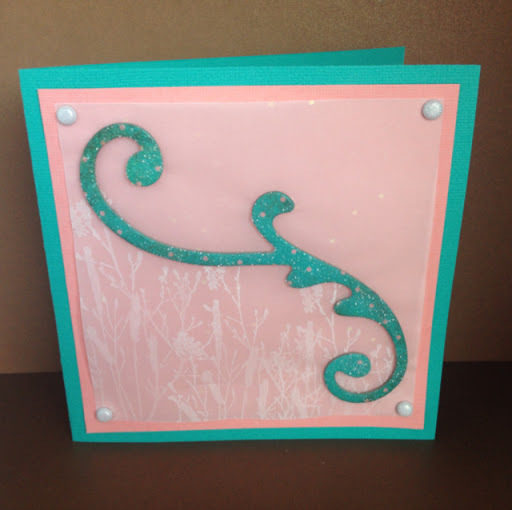 She loves turquoise, so I found a chipboard with the right color and some pink dots on it. This time I salt distressed it with clear embossing powder to leave it as visible as possible. I found cardstock that matched, and some vellum with small glitter on. 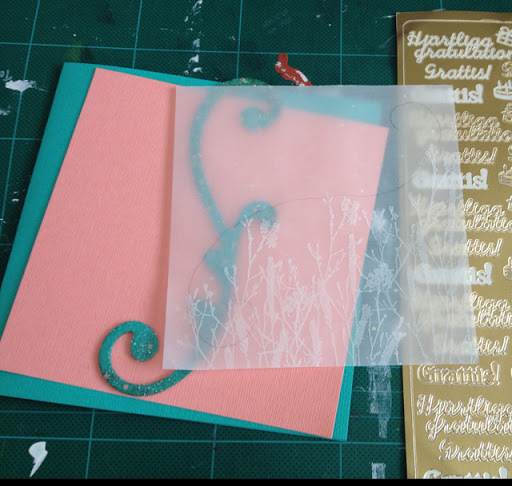 I traced the chipboard and made some stamping on the bottom half, a Tim Holtz stamp with white ink. I glued on the chipboard, and then finally mounted it together with some matching brads in the corners. Det är så fint, tack!